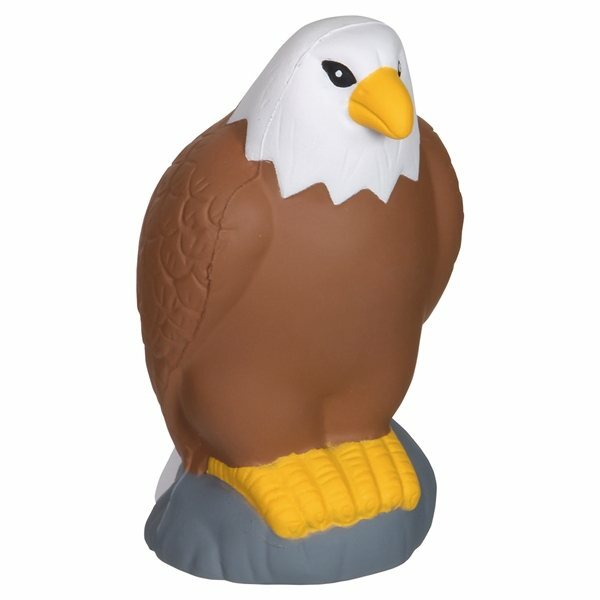 Eagle - Zoo animal shape stress reliever. The product and printing of our logo met our expectations. In future we will consider purchasing this product again. the quality is good for the price. I was very pleased with the product - it was very nice to have received the actual item prior to the order put into production. Fast turn around time, great customer service. Would definitely order from again. Looking forward to ordering more in the not to distant future. It was an excellent hit!